Most of us live in apartments that are very small with very little excess space. Space is at an absolute premium and as a result, selecting right couch becomes extremely important as it becomes an integral part of your living area. But what happens when your space doesn’t allow for the perfect couch? You turn to Burrow, the direct-to-consumer sofa manufacturer that offers luxurious couches built in a modularized system that gives you the you flexibility to design your couch to meet your spacing needs, adapts as your conditions change, and facilitates easy transport when you are moving by breaking down into manageable pieces. The company is expanding rapidly, having raised its seed round just a few month earlier in December. The process of looking for a new couch can as comfortable as laying on one thanks to Burrow. AlleyWatch chatted with CEO and cofounder Stephen Kuhl about what’s new in the company and the newest round of funding. We closed $14M in Series A funding which was led by NEA with new participation from Correlation Ventures. Existing investors, including Y Combinator Continuity, Red & Blue Ventures, Social Starts, and Winklevoss Capital, also participated. Burrow is an online furniture startup known for its direct to consumer modular sofa. We’ve created furniture that gives our customers everything from style to quality to price and convenience, never making people compromise. We ship our sofas directly to customers in boxes, eliminating unnecessary shipping time and money. Using locally sourced woods and fabrics free from harmful chemicals, we’ve created a sofa that looks beautiful and feels like home. Consumers often have to compromise when buying furniture – either buying a cheap, low-quality sofa that’s difficult to assemble or purchasing a heavy, difficult to move sofa that takes weeks to ship. We’ve created a high-end affordable sofa for the modern consumer that values convenience and quality. We’re a digitally native vertical brand. Through our direct to consumer model, we’re able to cut out the middle man and ship directly to our customers. This model allows us to save our customers hundreds of dollars by removing retail markups and over 70% of standard shipping costs. How has the business grown since we last spoke after the previous round of funding for Burrow just a few months ago? We’ve been growing rapidly, focusing on reaching new customers, innovating and raising our next round of funding. We’ve also released new wooden legs for our sofas just this month, furthering our mission of quality, customizable furniture that fits with your lifestyle. Why raise funding so quickly? We’ve been growing as a company and want to focus on building out our team, reaching new customers and continuing to deliver high-quality furniture. We’d like to expedite that growth. How has your role changed in the last few months? 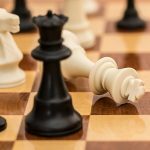 How do you envision your role changing now? As we build out the team, Kabeer and I will shift away from doing as much of the day-to-day and focus our time on leading the team, providing guidance on projects, and strategizing on the best deployment of resources. What types of positions are you recruiting for now? Everything! Marketing, creative and digital design, operations, customer experience, and finance. The funding process was a lot like getting a job. Y Combinator and progress to-date (like school and professional experience) made us qualified to raise money. We then targeted firms we wanted to work with, then got introduced to those firms through networking, and then did our best to convince the firms we liked that we’d make them a lot of money. It was stressful but we were lucky enough to partner with our top choice, and are thrilled to be working with Tony and the rest of the team at NEA. We want to continue to expand our marketing channels, grow our team and find new and exciting ways to connect with both our current customers and new customers. What makes NYC a great place to build a direct-to-consumer ecommerce brand like yours? 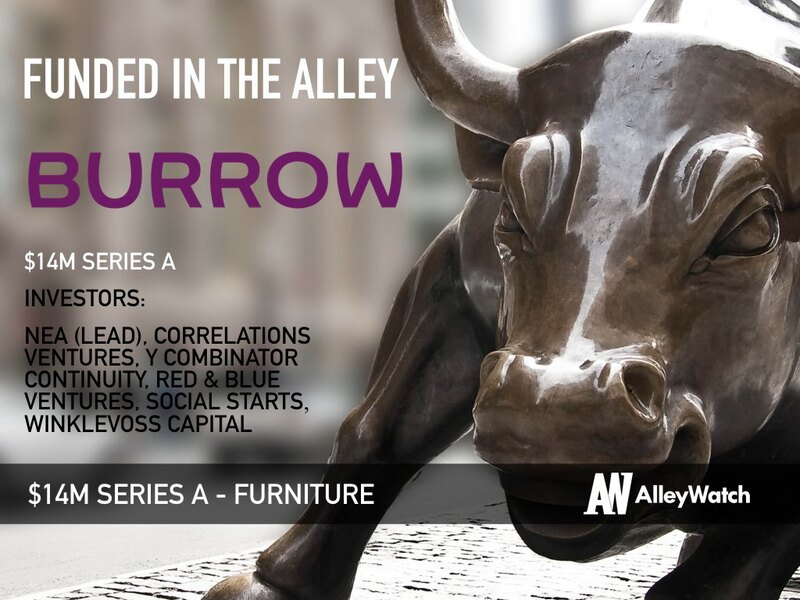 There’s a real energy to NYC and a strong startup scene that made it the perfect place to launch Burrow. Plus, New Yorkers in particular understand the pains of moving a sofa up a flight of stairs, and that’s one of the largest pain points we’re solving. Our office. We have a stacked bar and frequently host happy hours for customers and friends. When we do venture out though, we tend to go to Rye House.